The Grand Tournament™ - Now Available! Joyous fanfare fills the air of taverns everywhere today, which can only mean one thing—Hearthstone’s second expansion, The Grand Tournament, has arrived! Experience all The Grand Tournament has to offer: 132 new cards add a cavalry of noble knights, powerful steeds, potent spells, and more to your collection. A new keyword, Inspire, rallies minions to perform great acts of courage as they fight in your honor for a hard-earned victory! In times past, the Argent Crusade created a tournament to find champions who possessed the strength and valor to face a most dire villain. Now, The Grand Tournament has become a place where knights from all over Azeroth gather to show off their skills in a playful combination of carnival and competition. It’s a kooky congregation of cavaliers—ogres, pirates, dragons, and even murlocs have sent their finest knights to prove their prowess—so the only thing that’s certain at this tournament is that you’ll have a fun time! You’ll find a host of minions ready to follow your heroic example with the new Inspire keyword. Each time you activate your Hero power, they’ll be inspired to perform a feat of strength. But the fight for glory doesn’t stop there! Prepare to stand ready and cheer your champions on as they joust, for when jousting minions win a contest, the victor gains a potent boon. 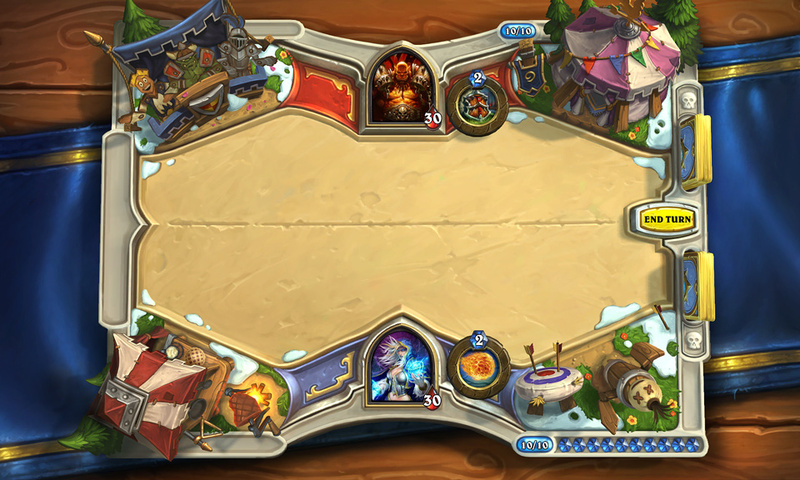 The Grand Tournament wouldn’t be complete without a brand new Hearthstone board! It features a colorful pavilion, a snack bar, carnival games, practice dummies a-plenty to keep your champions in fighting form, and of course, other surprises to find! Your efforts on the Ranked Play ladder will continue to serve as a testament to your valor—a Highest Rank Bonus awaits players at the end of the month that increases in value as you ascend in rank. Each player’s Quest Log will display the highest rank they have reached during the month and recognize their accomplishment. Players who progress beyond rank 20 will receive a treasure chest containing an array of nifty little rewards as a way of congratulating them for their achievements. Eligible players will receive their treasure chest at the end of each season containing the season’s Ranked Play card back, one or more golden cards, and some extra Arcane Dust. What’s in the chest is determined by your highest rank over the course of the season. 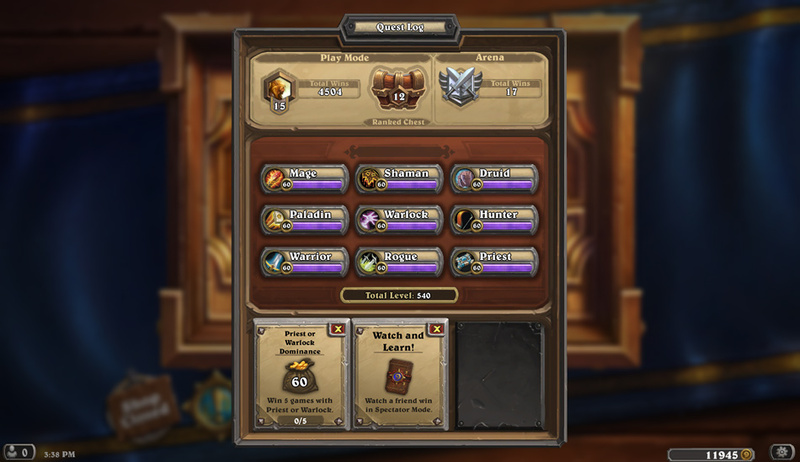 Note: your highest rank for the season was recorded beginning with Hearthstone Patch 3.0 that released on August 17. Players will now have a chance to receive any of the current Hearthstone card packs (which include the Classic Hearthstone set, Goblins vs Gnomes, and The Grand Tournament) whenever a card pack is awarded, with a greater chance to receive The Grand Tournament card packs. See what cards await you in The Grand Tournament on Hearthstone’s official Facebook page and follow the conversation using the hashtag #TGT! The pennants are waving and the crowd is waiting. Charge in and experience Hearthstone’s second expansion, The Grand Tournament, today!